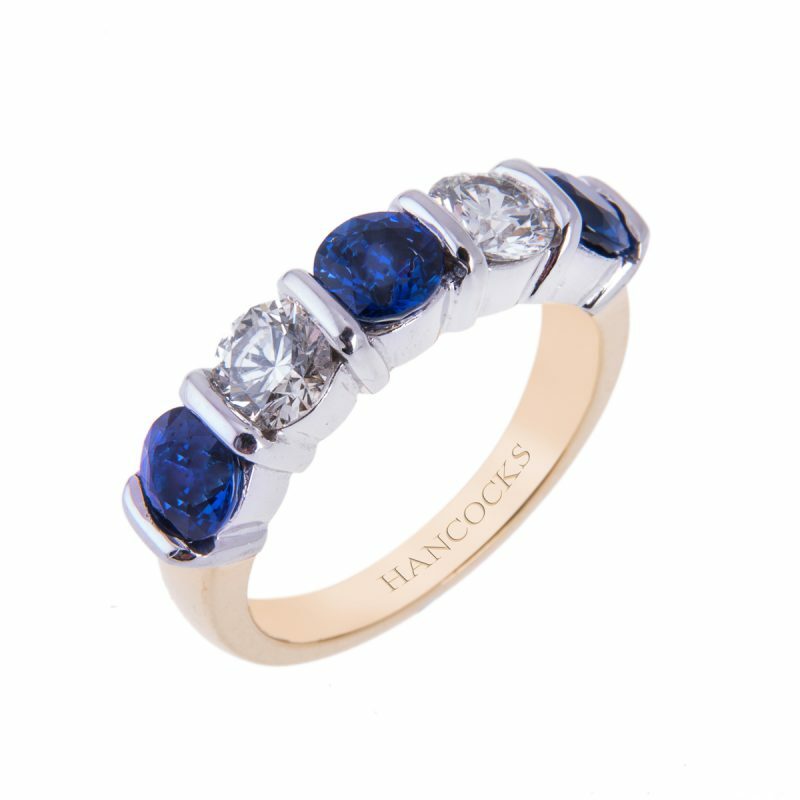 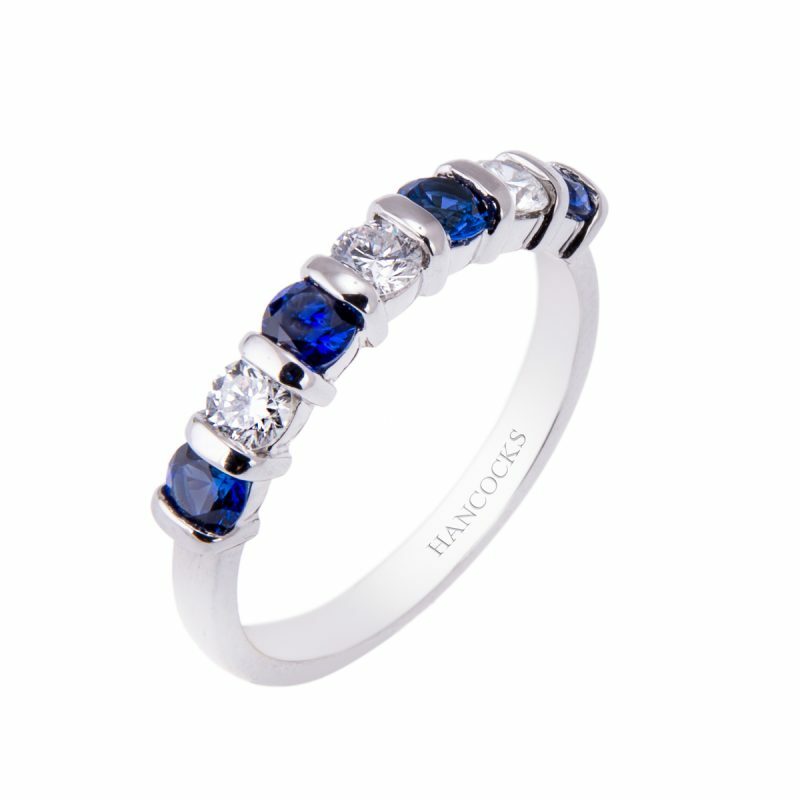 Add a touch of elegance with this sapphire and diamond half eternity ring, perfectly accentuated with a bold splash of colour. 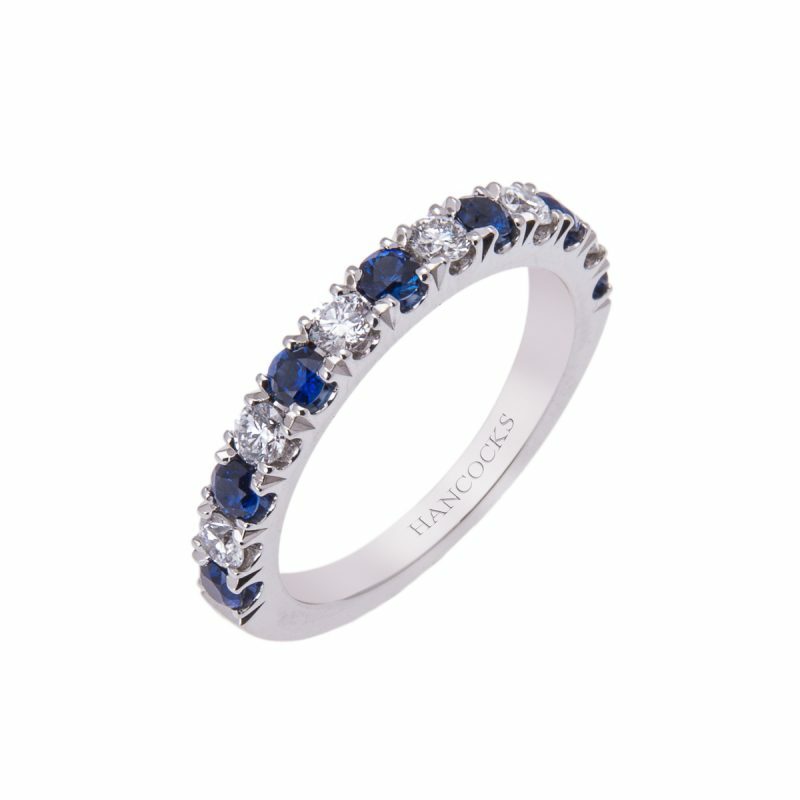 Mounted in a platinum bar setting, the rich velvety blue round cut sapphires alternated between brilliant cut diamonds to add that all important show stopping sparkle. 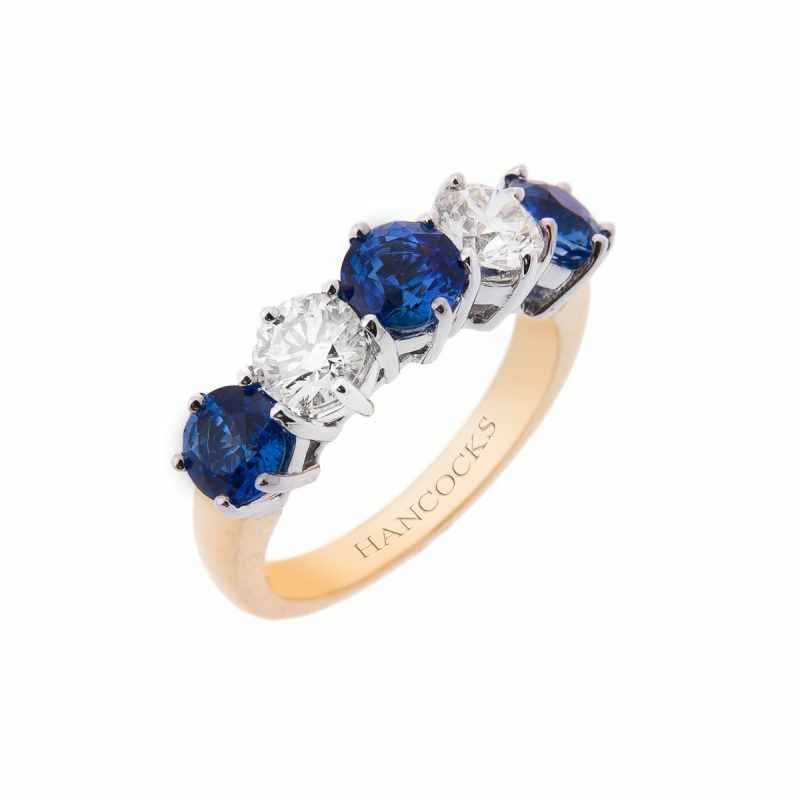 This timeless ring is something you will cherish forever.